The great Peter Sellers plays multiple roles in this fun comedy. The premise is golden and the cast has a great time with their roles. If you are a fan of old British comedies or a Peter Sellers fan then this film is a must see! Funny film. One of Sellers best. Good direction from Jack "The Incredible Shrinking Man" Arnold. Lots of laughs. Peter Sellers in three roles yet again impresses. 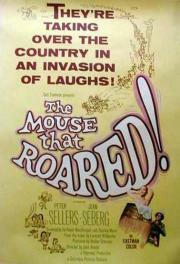 The movie that brought Peter Sellers to America's attention -- the first half is a good deal funnier than the second half, which gets bogged down in a subordinate plotline about a ridiculous football-shaped bomb; but the movie as a whole has a lot of charm, and although Sellers gets all the PR, the great Leo McKern is equally funny in his small role. Look for William Hartnell, the first Dr. Who, as the sergeant. The premise is brilliant and Sellers has some side-splittingly funny lines as four different characters, but the movie sort of runs out of gas halfway through and seems a bit dated all in all.